Brighten her day with a gust of style with the SKECHERS Twinkle Toes: Twinkle Breeze 2. 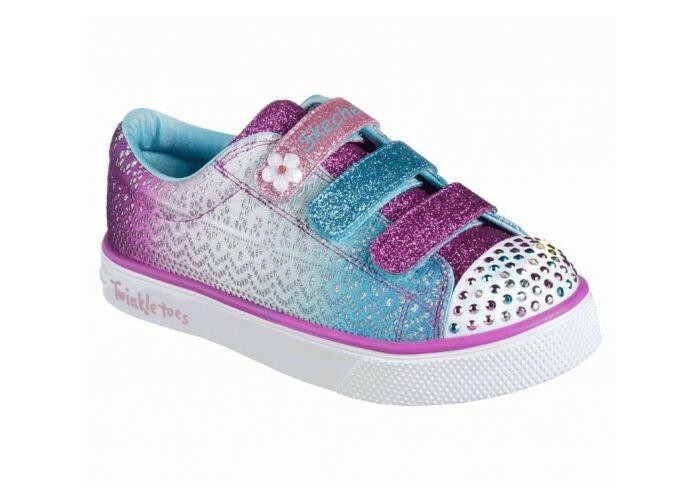 Brighten her day with a gust of style with the SKECHERS Twinkle Toes: Twinkle Breeze 2.0 - Sunshine Crochets shoe. Soft canvas glitter finish fabric upper in a three strap front casual light up sneaker with crochet detailing.